We invite all of our internet readers to try the latest issue of the Human Life Review free of charge! Complete the form below and we’ll send your free trial issue out right away. 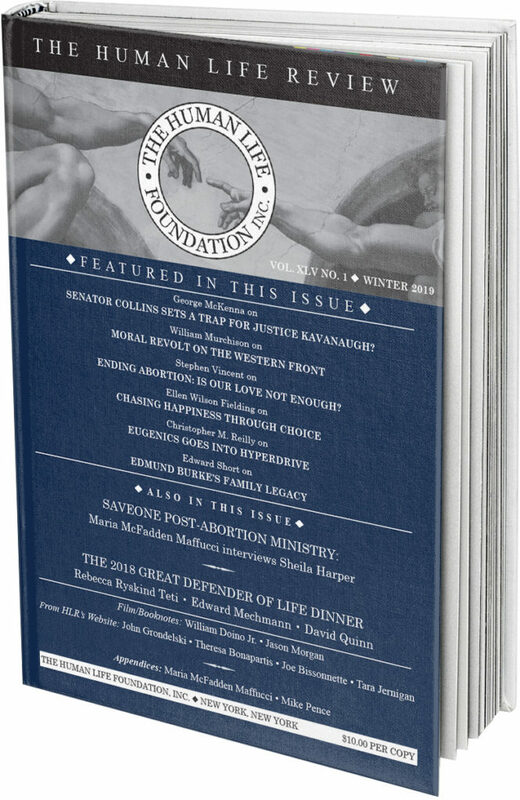 Full 1-year subscriptions (4 issues) to the Human Life Review are regularly $40.00. You can also click the Subscribe tab at the top to start receiving your quarterly issues of the Human Life Review! *We regret that we can no longer send free issues to locations outside the USA, due to prohibitive postage costs. Consider buying a subscription at the low foreign rate of $60.00 USD. Thank you for your understanding. 1,778 people have visited this page. 1 have visited this page today.